Like many people I've been taken in by the slick production and mad style of Mad Men, but it's hard to believe the resident Dapper Dan, Don Draper played by Jon Hamm could ever really have existed. Ladies and gentlemen, meet Mr. George Lois. Okay, I'm not suggesting Mr. Lois was as promiscuous or predatory as the Draper character but in the sixties Lois ruled New York's design world with his iconic and prolific design work. I just never realized he cleaned up so good. 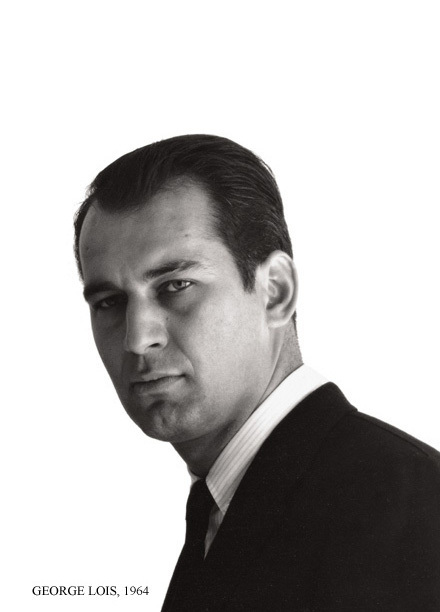 Get to know George Lois.